Woman Scorned: Chelle's Birthday Extravaganza! I know that this is a little delayed, but this is for Chelle's birthday! 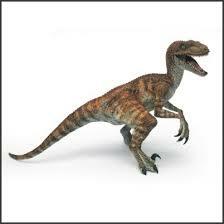 Michelle "Velociraptor" Johnson, one of our AMAZING captains, was born on November 16th, 1987 with 2 foot long legs. As Chelle was growing up, she had little to no idea that her future destiny would be as a leader of a crazy frisbee team called Woman Scorned. In fact, Chelle is so nice, you'd never guess she would possess the fury of a woman scorned! and being a Bio-chemist Genious! So, in celebration of Chelle's 22nd birthday, the team (or at least a bunch of us) headed to FUJI to dine in style! While the food was being prepared in front of us, we laughed at our awesome chef's jokes. He even threw egg at us to see who's mouth-eye coordination was the best. We scarfed down way too much and sat around for the next couple hours joking and picking food out of our teeth! Overall, it was a wonderful evening, and we had a great time celebrating Chelle's birthday! AND, no ambulances were called, or old ladies bleeding! Ps. As you can see, I figured out how to link photos to words or phrases. So I got a little excited and may have went over board. Enjoy!